Boys are usually careless about their grooming, and are considered less bothered about it as compared to girls. Their prime attention is generally showered on any outdoor activity and games they come across. With this rough and tough attitude, they usually consider grooming to be a waste of precious time. All this changes as they turn a bit older—normally around their teens—and become more aware of girls. This is when they begin to care about their looks. During their pre-teens, boys are groomed by the parents, with usually the mothers taking a more proactive interest in their attire. Consequently, a majority of the cute boys’ hairstyles that we normally see young boys sporting are hassle-free as they really have no experience in dealing with high-maintenance styles. 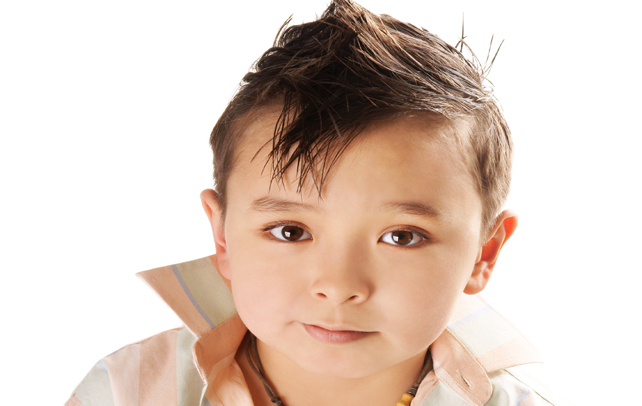 Boys’ hairstyles usually fall into three categories with some variance in styles. They are the crew cut or spike, the comb down and the side sweep. Some of these have been popularized by celebrities and sports persons, and you may like to adopt one of them. All these styles make boys look oh-so-cute and lovable in a very appealing way. You can choose a style you like, from those given below. In this style, there is no parting of the hair. The hair is brushed forward and can be of varying lengths. Cut the hair shorter on the sides for best effect. This is an easy-to-cut style which is popular among boys. Though a very simple style, it produces quite a flattering effect on boys giving them a cute and naughty look. This style makes boys look well groomed and smart. Providing a fine look, this is a style for all occasions. The hair is smoothly swept down to one side and made to stay in place. This style is normally not preferred for outdoor use as the hair may get tousled quite easily. This style is ideal for special indoor occasions like weddings, as it gives you a nice, clean and well groomed appearance, perfect for the best man. If you do not have curly hair, you can always try the “Spiky Hairstyle”. 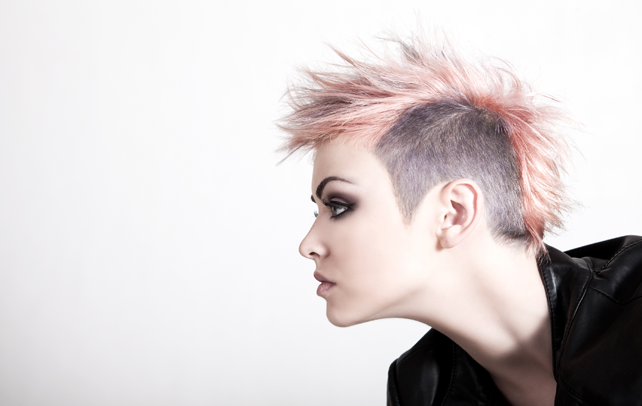 In this style, the hair is cut a bit shorter on the sides and the hair is groomed with hair gel to make it stand up in spikes. This style does not suit all boys, and it is better to choose it only if you are the outdoor type. If you have coarse hair then this style would require more grooming. This style makes boys look very hip and, at the same time, so irresistibly cute. Not only is this a cute hairstyle, it is also a very practical style for boys. In this style, the hair is cut really short. It is a style that is easy to get and arguably, easiest to manage. It requires no brushing or combing and makes washing a very simple task. Even parents prefer that their boys sport this style as all it requires is a hair clipper. With this in hand, they can do the style themselves easily at home. Being a practical and cheap way to manage a boy’s hair, the buzz cut is used more by active, outdoorsy boys. Many parents find it an easy style for their school-going children also. While some boys look extremely cute just after they have had their trim, some may not be able to pull it off at all, as it does not suit all boys. 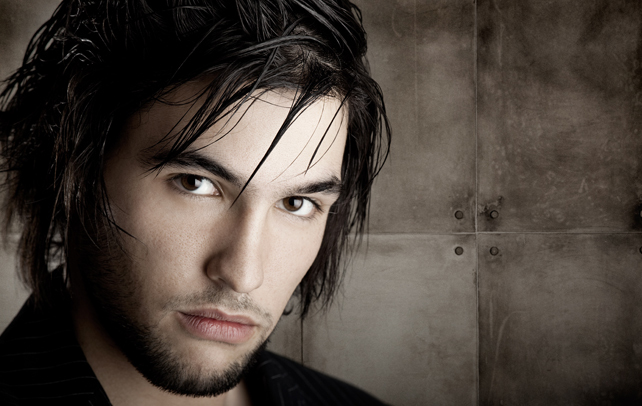 This style, which requires long hair, is sported by many and requires long wavy hair. Boys in their pre-teens or even young teenagers can sport this style. It gives them a classy yet cute look. The style requires wavy hair at the front and sides as well so that it falls almost to the shoulders in long tresses. This is a style which requires quite a bit of grooming and occasional styling. This style is not a good option for those who hate spending time on grooming themselves. Boys get conscious about their looks at a certain age and they look for options to make themselves look more and more appealing. While some choose to go the hunk-way, some prefer the guy-next-door cute looks. If you belong to the latter group, you can opt for any of the above hairstyles according to your requirements, face-cut and hair type.